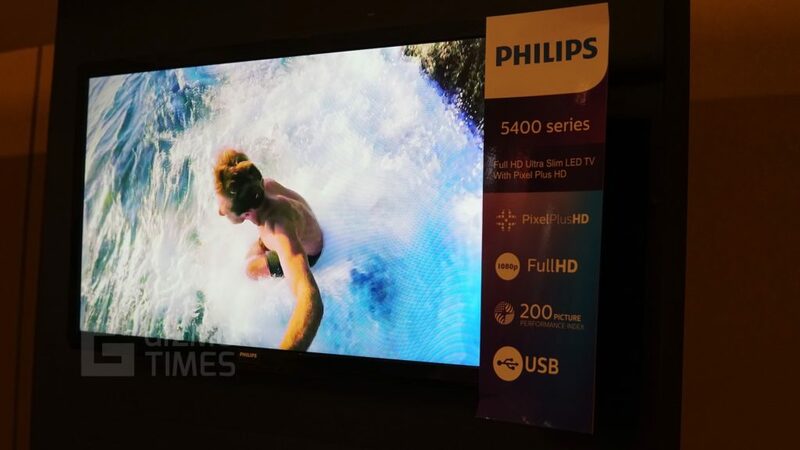 TPV Technology has officially launched a new range of Philips televisions that include a few LED TVs and smart TVs. Ranging from 22-inch to 65-inch in size, the TVs have LED panels in common and the smart TVs introduced in India are going to run Linux-based custom OS called Saphi Smart TV OS. The Philips 5400 Series has a 22-inch screen and it is non-smart TV and comes with a Full HD resolution, two HDMI inputs, and one USB input. The 4200 Series has a 32-inch TV with the same resolution, PixelPlus HD, two HDMI inputs with easyLINK, and a USB port. The basic Philips 5400 22-inch TV is priced at Rs. 9990. The smart TVs start with the Philips 5800 series that has two TVs right now, one with the 32-inch screen size and the other with 43-inch, both having the Full HD resolution. The custom OS here is called Saphi OS that is based on Linux and currently, the OS offers Netflix, YouTube, Eros Now, Hungama, and Amazon Prime Video in its partnership for the content offering. For the audio, there is DTS HD, and the connectivity slots include two HDMI and one USB port. 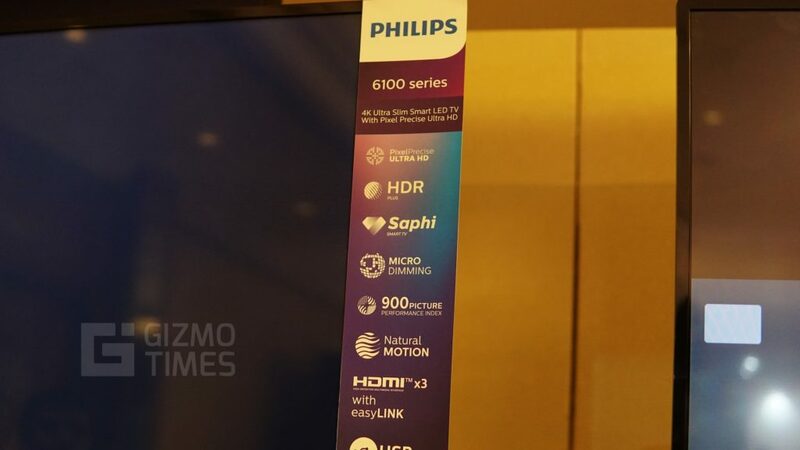 The higher end is the Philips 6100 series that has the Pixel Precise Ultra HD resolution and the same Saphi OS for the smart functionality of the television. The 6100 series has 50-inch and 55-inch TVs, and these offer HDR Plus output and the connectivity options include three HDMI ports and one USB port. 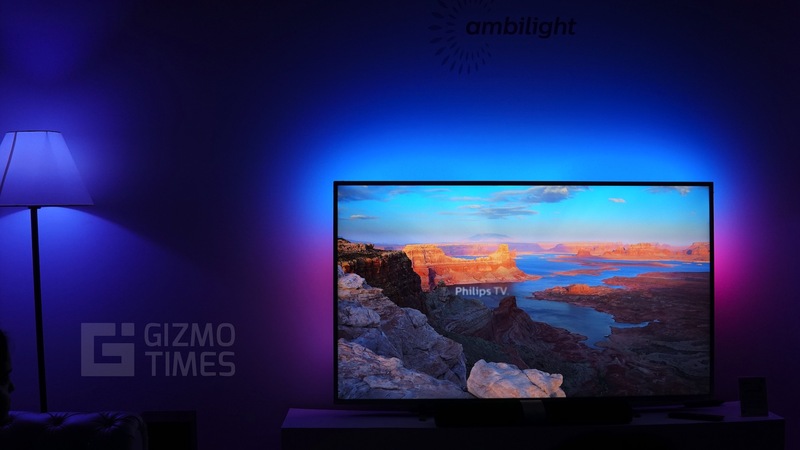 The best of the lot is the Ambilight series, the Philips 6700 series that comes with the 65-inch LED panel, 4K UHD resolution, and the main highlight of this TV is the Ambilight that throws light on the back of the TVs, onto the wall whenever any content is being played. That light depends on the colors that you see on the TV itself, which makes the entire wall colors enhanced and matching to the screen colors. This is done by a strip of LED lights controlled by the TV, and these lights are present on the back of the TV. You can set the lights based on the mood and connect more Philips Hue lights in the room to match the same colors. The Ambilight series TV is priced at Rs. 149990. The Philips 6700 series TV also has the HDR Plus, Dolby Digital audio, three HDMI ports, USB ports, and it runs the Saphi OS. Currently, there are about 23 apps in the Saphi OS that Indian users can connect to, and there are more partnerships in the process and will be sent to the TVs through updates whenever available. These TVs are going to come with two-year warranty. The Android TV lineup will be coming into the Indian market later.